Friday’s computer models continue to advertise an increasing threat of yet another significant winter storm to affect the Mid-Atlantic states Sunday night through Monday afternoon. How much snow will fall? 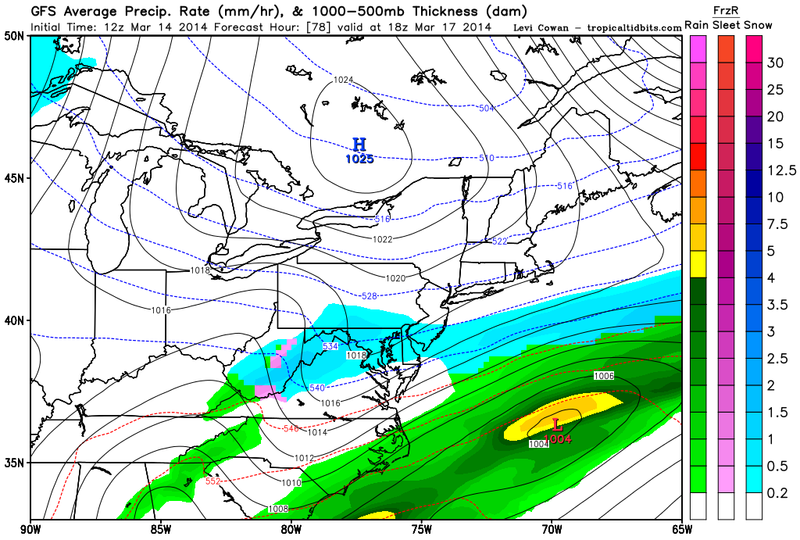 As of now, there is consensus building for the potential of 3 to 6″ of snow with a bulls-eye of 5 to 8″. 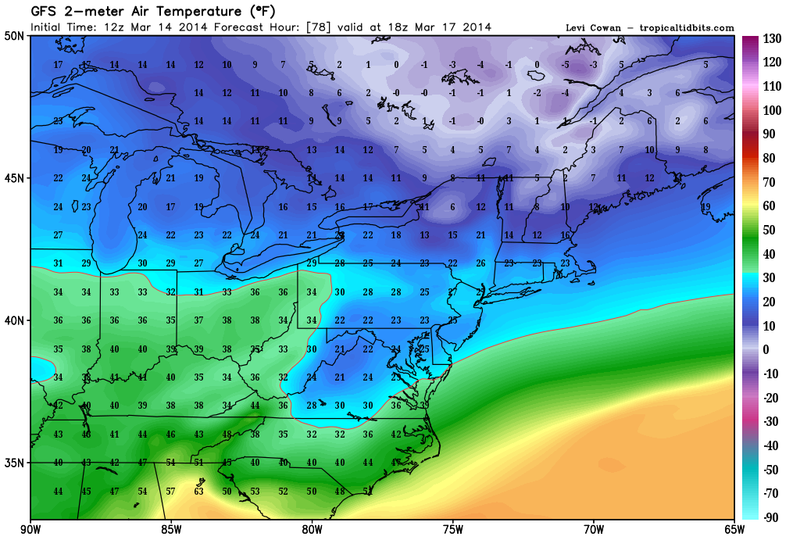 Temperature Forecast (GFS) for Monday shows record cold high temperatures holding in the 20s! Temperatures on Sunday night and Monday may hold in the twenties allowing for the snow to easily stick to untreated roadways. 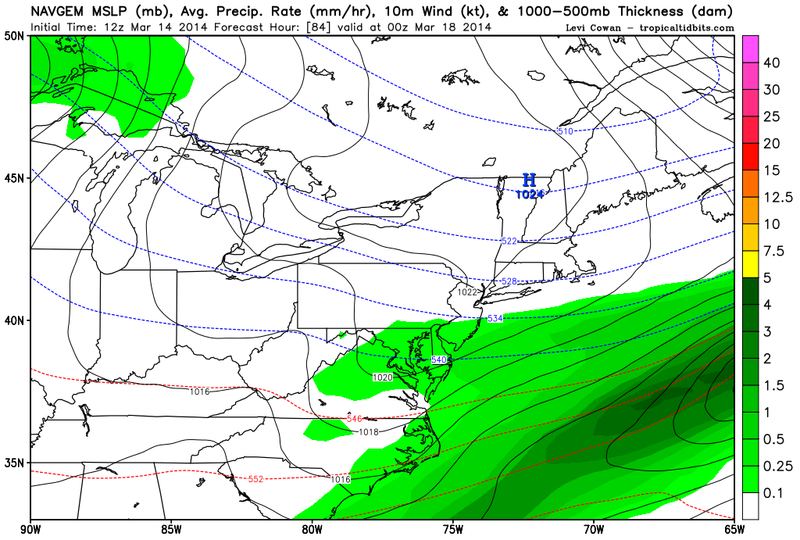 Latest GFS forecast model shows snow falling Sunday Evening. 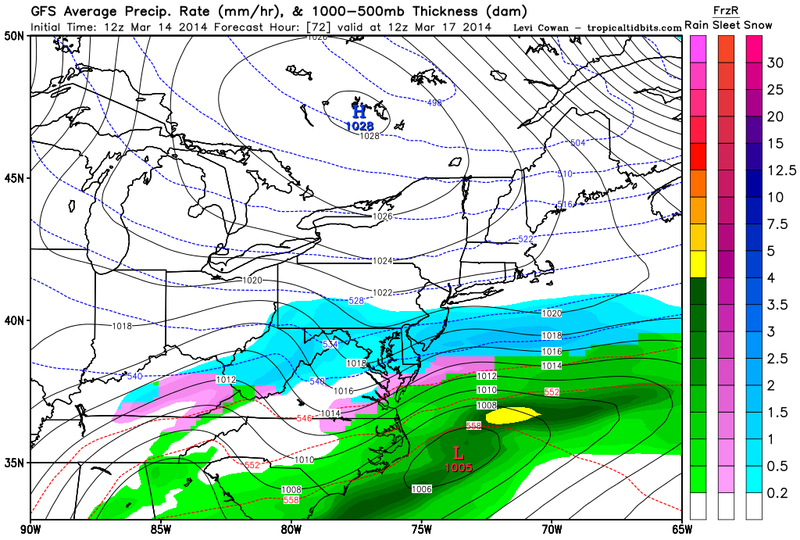 Latest GFS forecast model shows snow continuing to fall 1 AM Monday. 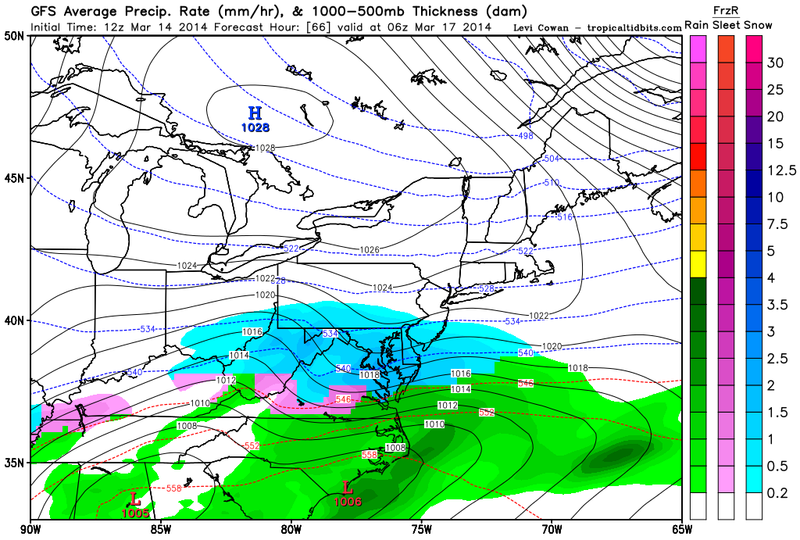 Latest GFS forecast model shows snow continuing to fall Monday morning (7 AM). 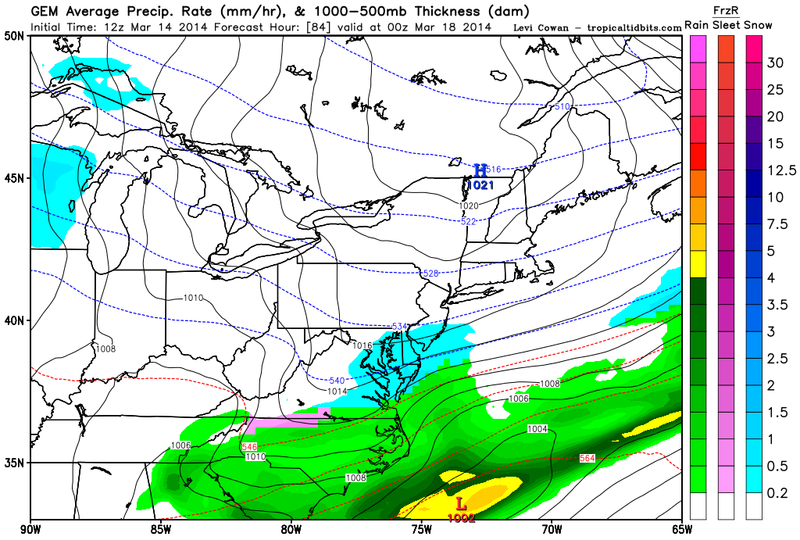 Latest GFS forecast model shows snow continuing to fall Monday at 1 PM. The Canadian and NAVGEM (Navy Global Environmental Model) forecast models currently show snow falling through Monday’s afternoon/evening rush hour. The latest Canadian forecast model shows snow falling through 6 or 7 PM on Monday before ending. 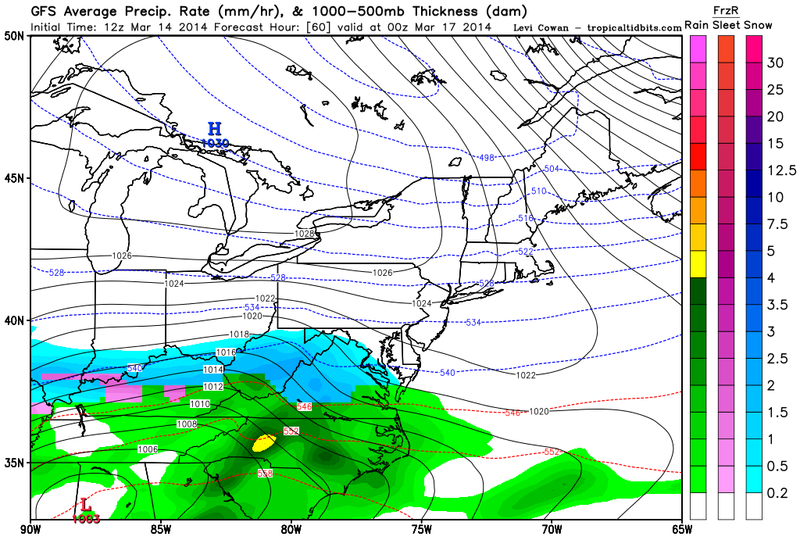 The NAVGEM model also shows snow falling through 7 PM on Monday. Winter Storm Watches may be issued on Saturday for the potential of 5 or more inches of snow. Whatever falls will melt away rapidly on Wednesday through Friday as temperatures spring back into the 50s and 60s! March has always featured wild swings in temperatures as spring warmth from the Gulf begins to interact with arctic air over Canada. Next Post New Snowfall Tallies for Area Airports as of March 16 & Springlike Warmth Heading this Way!